The Insurance Institute of America has long been a leader in claim publishing. Its Associate in Claims – AIC – designation is one of the premier continuing education distinctions that a claims professional can acquire. For all of its excellence, however, one “knock” on the AIC program is that it took more of a micro than a macro view of claims, focusing on desk-level claims-handling with less attention to the broader areas of claims supervision and management. That missing piece of the puzzle is filled with the introduction of this relatively new text from the Insurance Institute that aims to fill that void. It is the foundational text for the new AIC 47 course that leads to an AIC-M designation. Both authors, Frappolli and Myhr, are on the staff of the Insurance Institute’s Knowledge Resources Department. They have teamed to provide a useful introduction to help claim professionals who navigate the often dicey transition from an operational to a management/leadership capacity. Executives at many companies assume that the qualities that make an excellent claims adjuster translate into being a skilled claim supervisor or manager. Unfortunately, that is not the case. of the text makes it clear that the book is not aimed at C-suite executives. That is a laudable disclaimer, since there are scant resources on how to manage or supervise a claims team while bookshelves groan under the weight of tones regarding the nuts and bolts of claims adjusting. * How to determine the optimal caseload per adjuster? control that claim supervisors should have over adjusters? 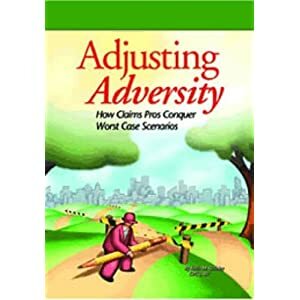 * What factors enter into assignment of cases or accounts to individual adjusters? * How can claim managers make meetings more effective and productive? * What are best practices in conducting adjuster performance appraisals and reviews? * What are the best practices in mentoring adjusters and fostering a culture of continuing education? * What management techniques invite bad faith claims against insurance companies? Claim managers and supervisors seek guidance to address these questions. The text touches upon the subjects that does not deal with them in a thorough manner. Those looking for a hands-on cookbook or guidebook of do’s and don’ts for claims management may be disappointed. Regardless of whether you plan to sit for the AIC 47 exam or not, I highly recommend a close reading of Claims Leadership and Organizational Alignment. Admittedly, it is not the kind of book that you would curl up with for pleasure reading. Nevertheless, any claim-handler who aspires to making the transition into middle or upper management should view this text as a must read. Likewise, those who already occupy positions of middle or upper management in claim organizations – cialis gratis whether in an insurance company, a third-party administrator (TPA) or a corporate risk management department – owe it to themselves professionally to familiarize themselves with this text and the principles contained therein.